Eye Creams — Necessary or Not? We’re going to be honest. We’re here to be your skincare resource, and we believe that part of that is being honest. We’re not here to sell you a marketing gimmick, so here’s the truth about eye creams. Eye creams are not a miracle cure. No skincare product is, though, so it’s unfair to put such a burden on eye creams. 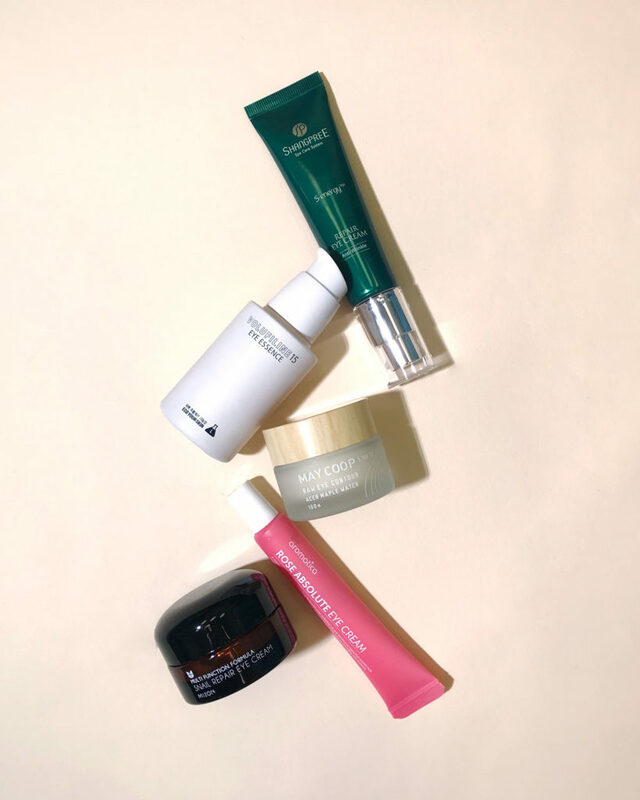 An eye cream is not magically going to vanish all your dark circles or eye bags or puffiness, but hear us out — don’t write off eye creams just yet. The truth is that eye creams can only do so much, especially when put up against genetics. There are several causes for dark circles and eye bags, and one of them is genetic. Some people just have a genetic predisposition for dark circles (it’s called periorbital hyperpigmentation), and, while eye creams can help brighten the overall eye area, those dark circles aren’t just going to disappear completely. Of course, dark circles, eye bags, puffiness — they don’t all just come down to genetics. Age is a factor because, as our bodies age, our skin gets drier and loses its elasticity. Sleep is a factor; not getting enough sleep (and, even, getting too much sleep) can exacerbate dark circles and eye bags. Allergies and inflammation can also be causes. 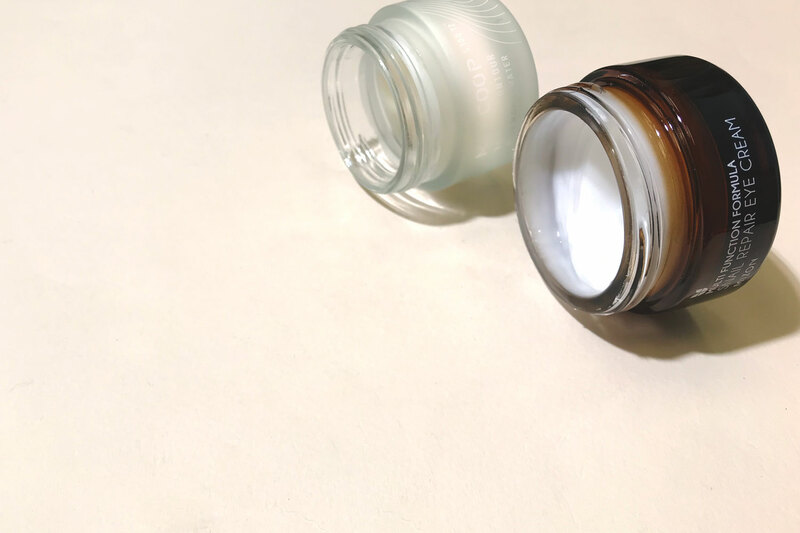 You might be thinking that’s no different from the rest of the skin on our faces; all skin ages, is affected by sleep (or lack thereof), and can struggle with the effects of allergies and inflammation — so why eye creams? Eye creams have been specially formulated for the delicate eye area. 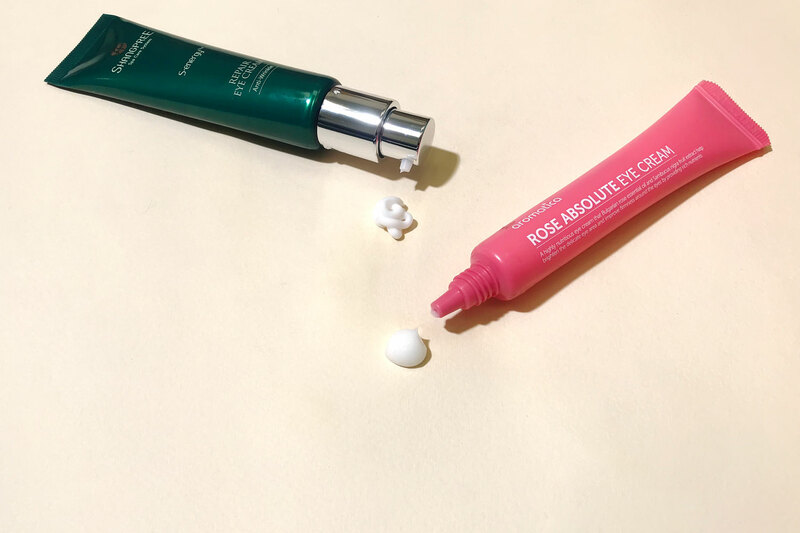 Eye creams typically do three things: they help brighten skin, reduce the appearance of visible fine lines and wrinkles, and deliver ingredients in a gentle formula that won’t irritate skin. The skin around your eyes is the thinnest and most delicate on your face, and it’s also a site of a lot of movement — and micromovement. Every time you blink or squint or smile or cry or, even, sleep, the skin around your eyes is affected, and that constant movement means that this thin, delicate skin is much more likely to show visible signs of aging, like fine lines and wrinkles, faster than elsewhere on your face. Further, because the skin around your eyes is the thinnest and most delicate, it can also be more prone to sensitivity and irritation. That’s why eye creams are usually formulated at lower doses to strike the proper balance so that thin skin can absorb well without being overwhelmed. Eye creams also provide a flood of hydration, as that thin skin is more likely to lose moisture more quickly, another reason the area around your eyes is likely to show visible signs of aging first. Does that mean a dedicated eye cream is absolutely essential? Honestly? This might not be what you want to hear … but it’s up to you. If you have a good moisturizer that deeply hydrates, doesn’t contain strong active ingredients, and doesn’t have any strong fragrances that make your eyes sting, it might be enough to take an extra few seconds to pat some of that moisturizer around your eye area. If you’re concerned about visible signs of fine lines and wrinkles or struggle with dark circles or a lot of puffiness, adding an eye cream to your routine might be a good idea. Think of it like a treatment. If you have a skin concern, say, hyperpigmentation, you might add a serum or ampoule that targets hyperpigmentation to your routine, looking for ingredients like retinol or vitamin C that help fade those pesky dark spots. Use the same reasoning when it comes to adding an eye cream to your routine — an eye cream might be a good addition if you struggle with dark circles or have visible fine lines or puffiness or, even, if you want to take the preventative approach and start caring for your eye area earlier before visible signs of aging start to appear. As usual, listen to what your skin needs. 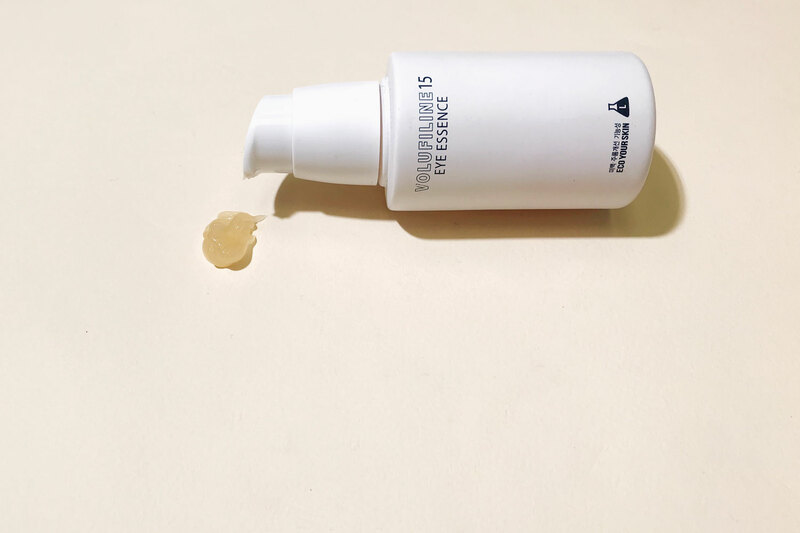 Here at Pibuu, we actually prefer eye creams that are lighter in texture. Because the skin around the eye is so thin, we don’t want to overwhelm it with something too heavy that just won’t be absorbed into the skin, leaving us feeling and looking greasy around our eyes — that’s not the kind of glow we’re looking for. Of course, it’s all relative, though — if you have very dry skin around your eyes, you might want a slightly thicker, creamier texture, like May Coop’s Raw Eye Contour, which is still light enough that it won’t oversaturate that delicate skin and cause puffiness. Mature skin might benefit from an eye cream that’s packed with antioxidants and ingredients that deeply hydrate and help fight visible signs of aging by encouraging collagen production — we recommend something like Shangpree’s S-Energy Repair Eye Cream. If you struggle with really dark circles, look for ingredients that help brighten skin, like snail extract (Mizon, Snail Repair Eye Cream) or rose oil (Aromatica, Rose Absolute Eye Cream), and, if you’re struggling with visible fine lines, we recommend something truly unique — an eye essence with a silky gel texture that uses volufiline and polylactic acid to help fill in those pesky fine lines and help diminish their appearance (Eco Your Skin, Volufiline15 Eye Essence).